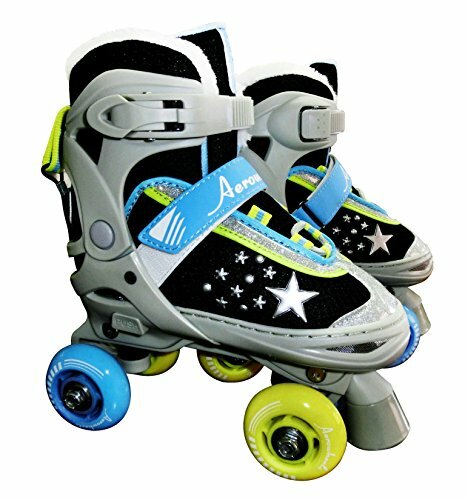 The aero wheels skinny wheels roller skates feature slim Sport urethane wheels that allows faster speeds and better maneuverability. Skates are easily adjustable from size #1 to #4 to fit growing feet. View More In Children's Roller Skates. If you have any questions about this product by JNJ, contact us by completing and submitting the form below. If you are looking for a specif part number, please include it with your message.